As someone who struggles with personal organization, I often find myself experimenting with new to-do apps and productivity tools, in order to cure my scatterbrained ways. The latest app I’ve tested is Taskade, from the company of the same name. Taskade’s biggest strength is that it doesn’t do too much. It lets you effortlessly group your to-do lists into folders, allowing you to segment your business and personal duties. So, you could have a folder for work, and in that would be lists of tasks that you’ve got to complete for projects you’re working on. Then you could have a folder for personal stuff, with lists for social groups that you’re in, and household duties that need to be done. 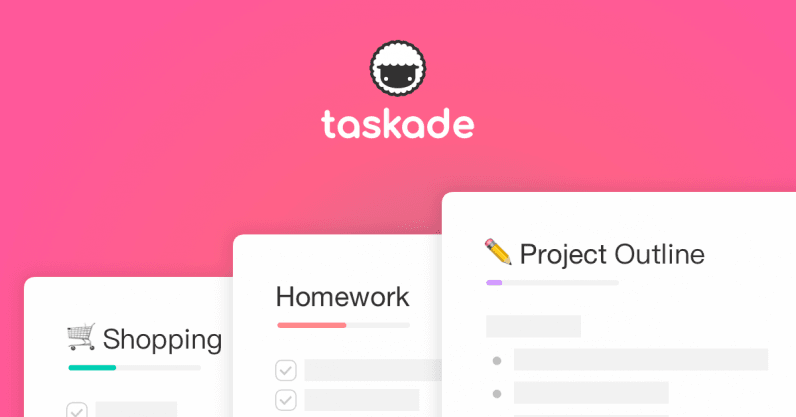 What sets Taskade apart from its larger rivals (and there are many, from fully-fledged productivity tools like Zenkit and Trello, to other to-do list apps like Todoist) is the attention paid to aesthetics. With pastel colors, emoji galore, and a really simplified user interface, you quite easily forget you’re using a work tool. Well, no. That’s not quite true. But it does look really nice. You can highlight tasks with gorgeous pastel colors, and personalize how lists look. According to Android Police, the company is also looking at introducing premium themes and stickers. I can’t see myself using that, but to each to their own. Another strength of Taskade is that it comes with some pretty solid collaborative features, whilst not exactly overdoing it. It’s less concerned with feature-completeness, and focuses instead on ease-of-use. For example, if I want to share a list with a friend, Taskade lets me copy a link and share it via my medium of choice — like Whatsapp or Facebook Messenger. And instead of dealing with granular permissions, Taskade gives me two options: a view link, or an edit link. There’s also a rudimentary chat feature, allowing you to discuss your workload with a colleague or friend. Suffice to say, I’ve very quickly become a fan of Taskade. While I’m still pretty evangelistic about Zenkit (the ability to transform a Kanban board into a to-do list is pretty bonkers, IMO, but so useful), I can definitely see myself using this beyond the review. You can download Taskade on Android and iOS. A web version is available, too. At the moment, the service is entirely free, with a paid premium version on the horizion.